Why You Need Them: To provide a professional, personal invoice for your customers. 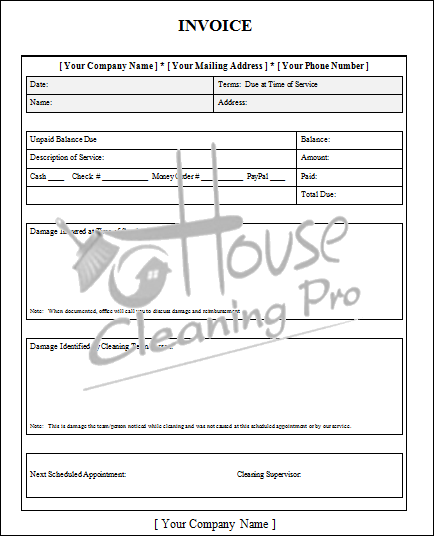 This document contains the basic and most needed business invoice information for a house cleaning business. It is a template that can be customized for your business.